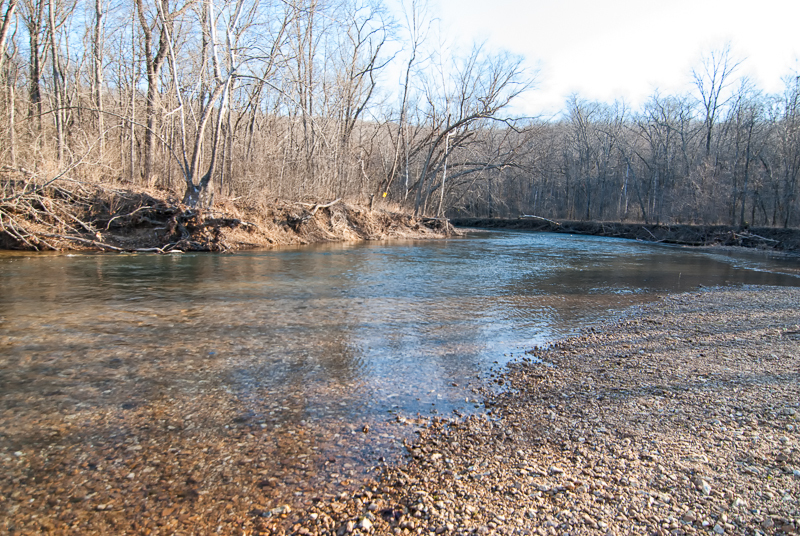 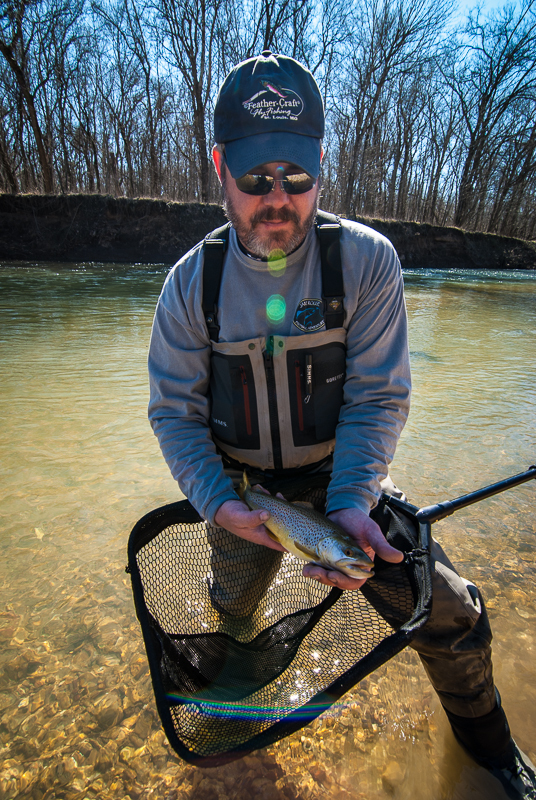 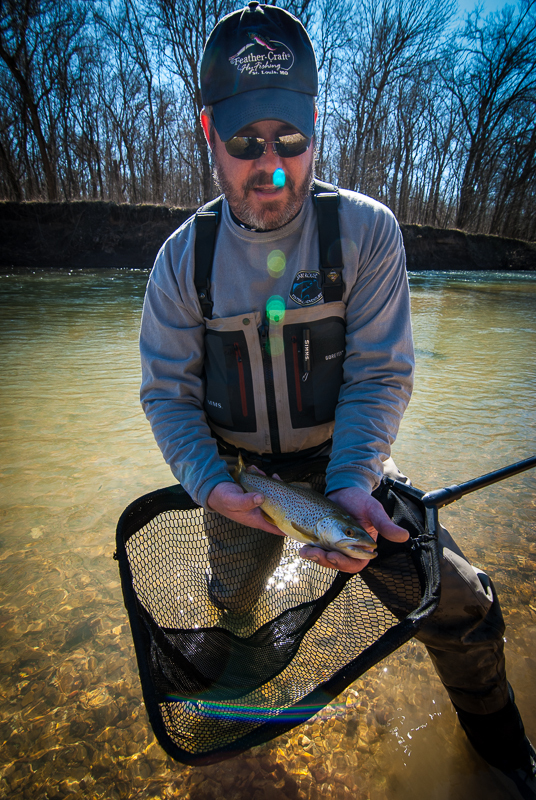 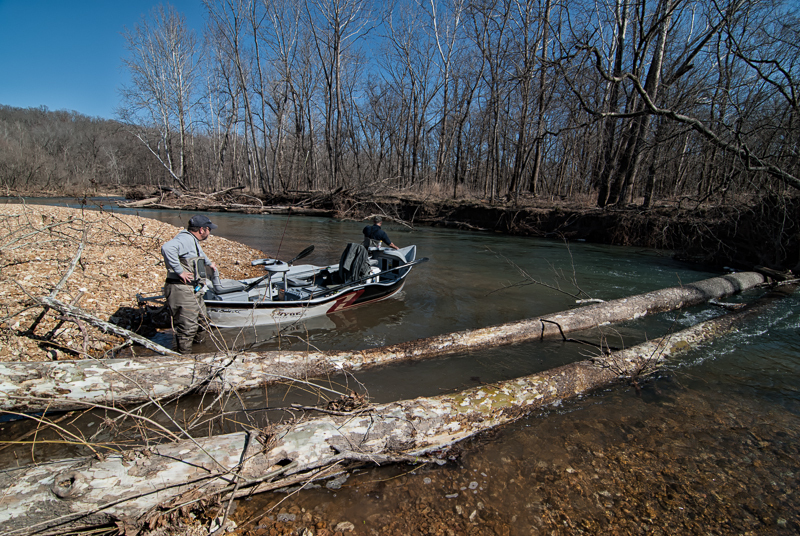 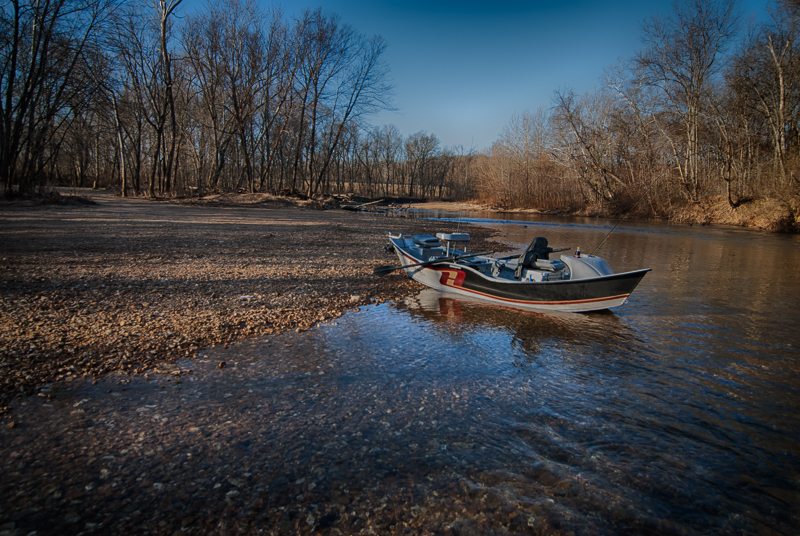 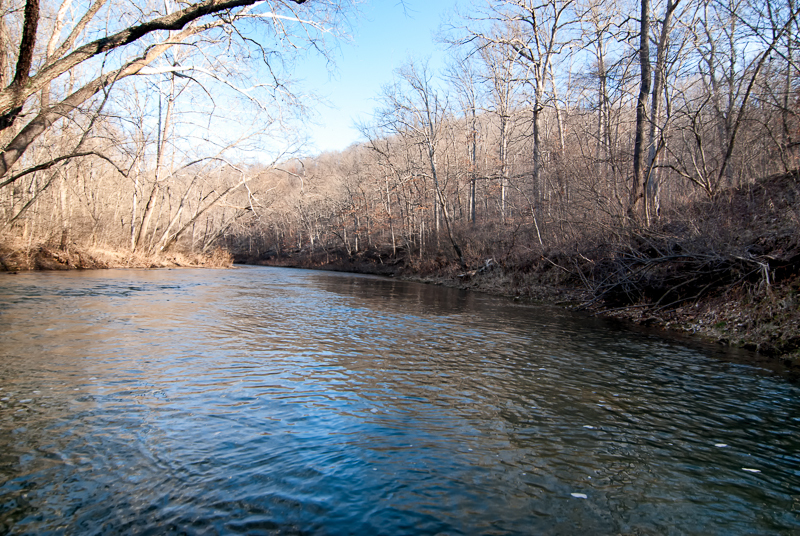 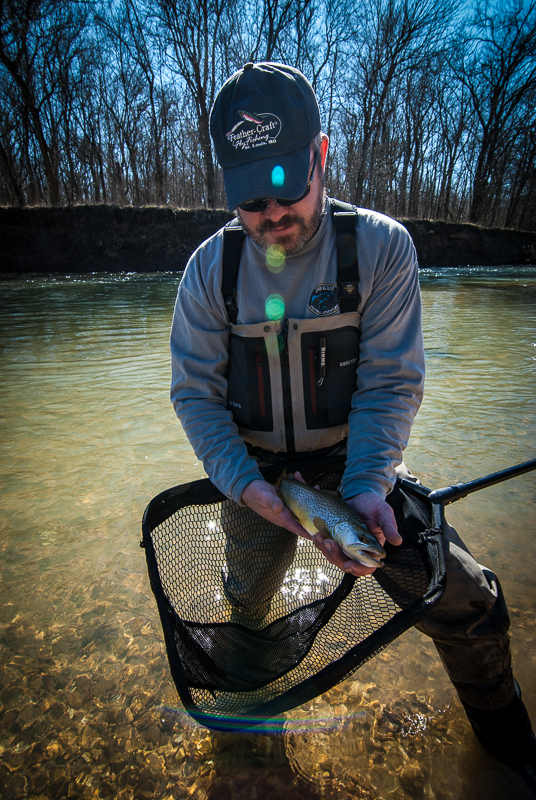 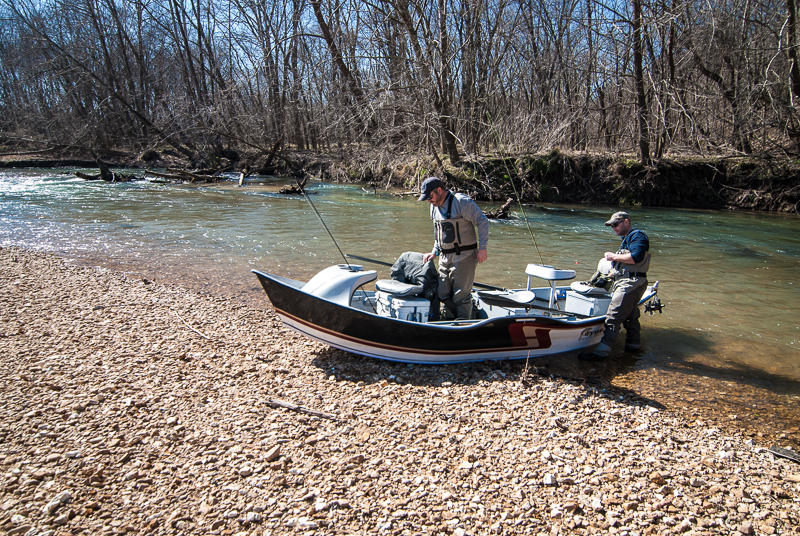 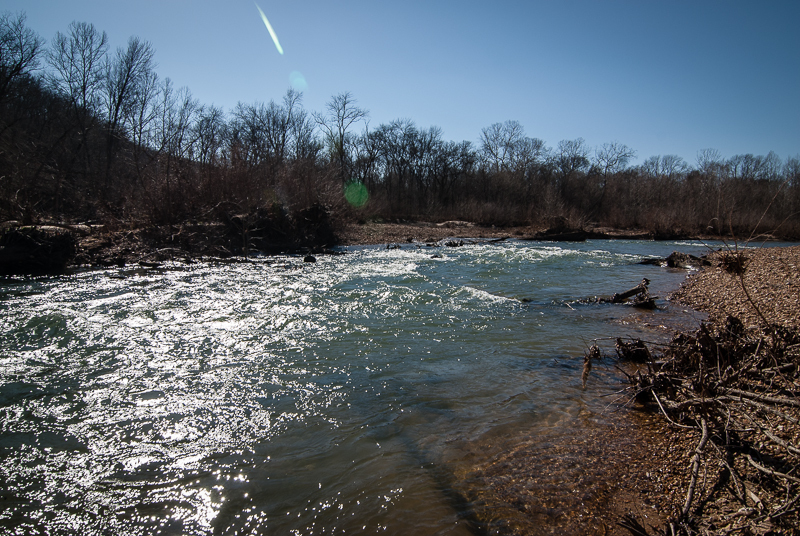 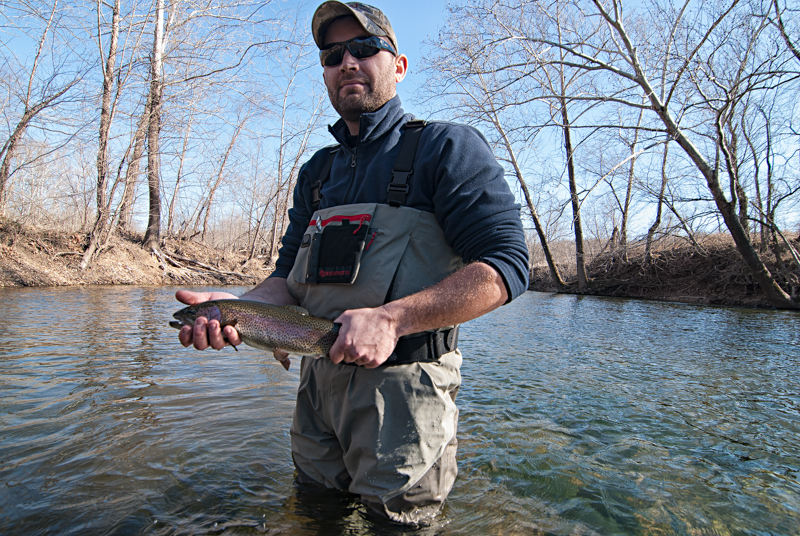 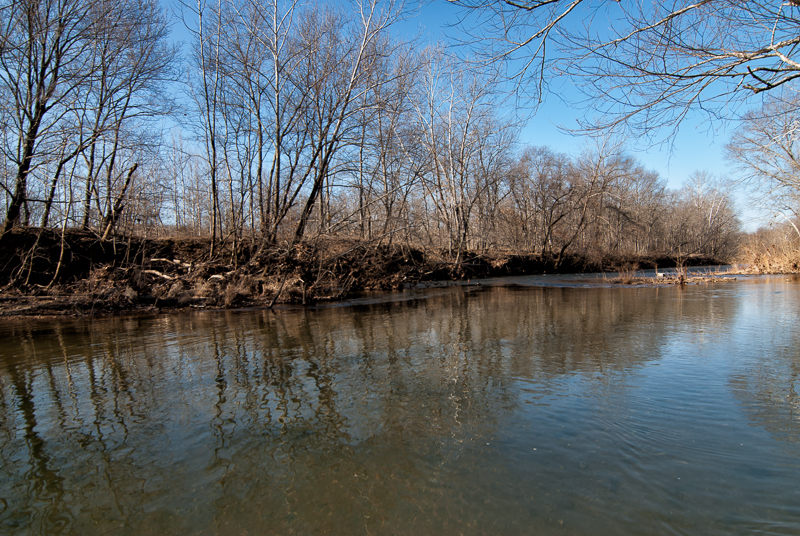 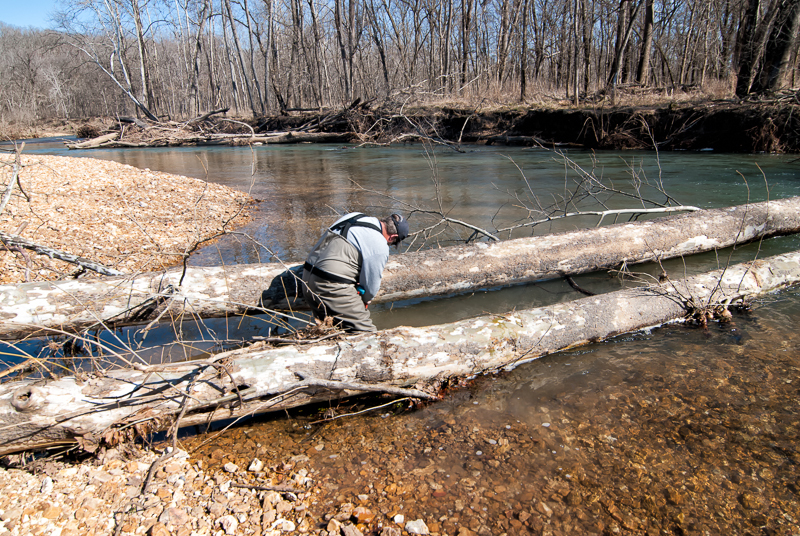 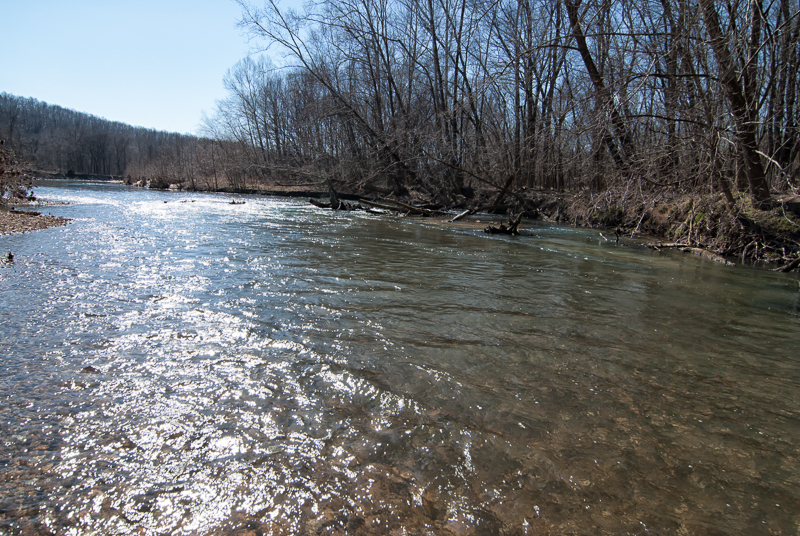 The Meramec River is a river that haunts many of the fly fisherman that live in and around St. Louis. 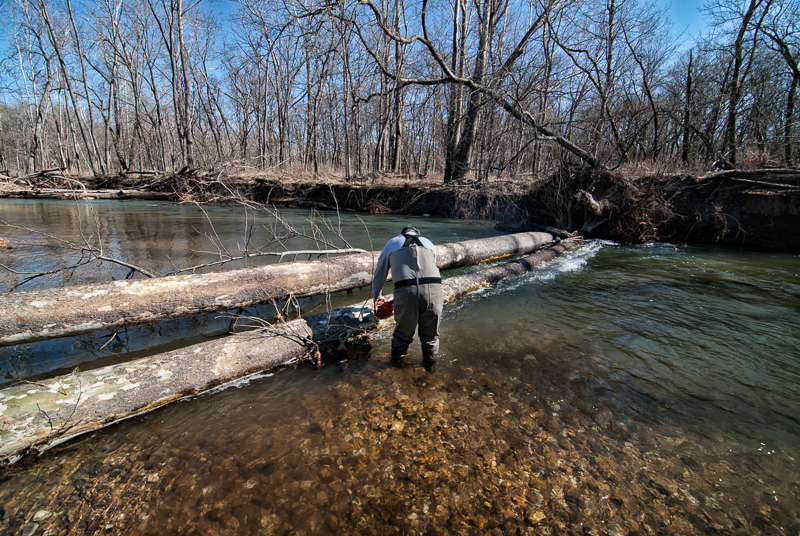 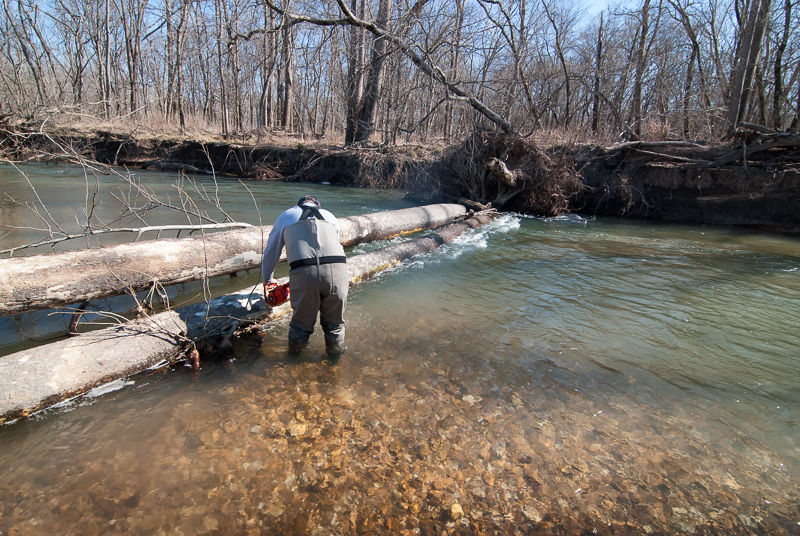 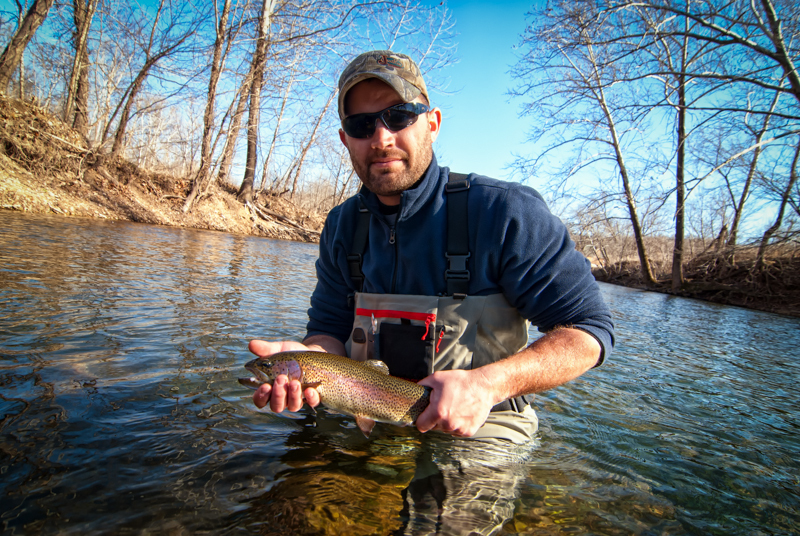 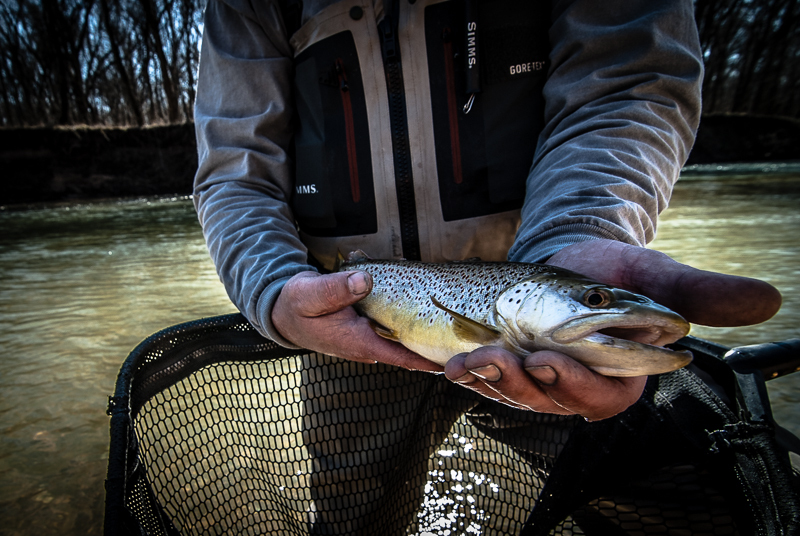 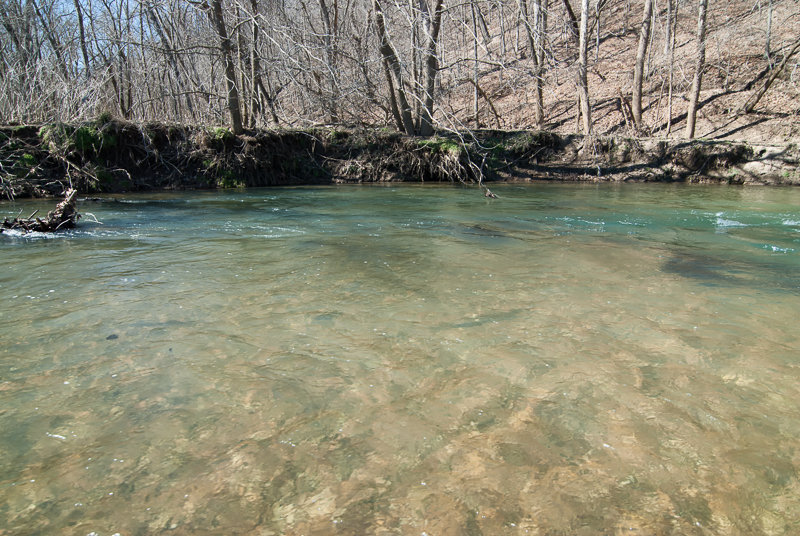 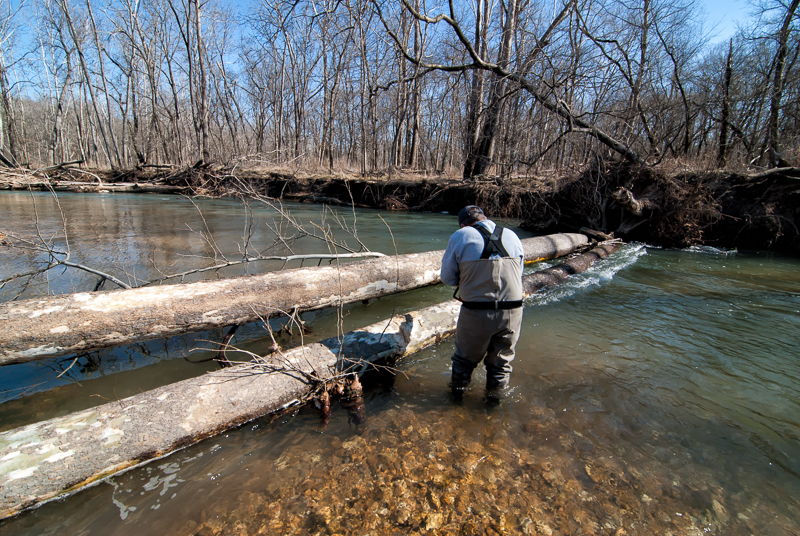 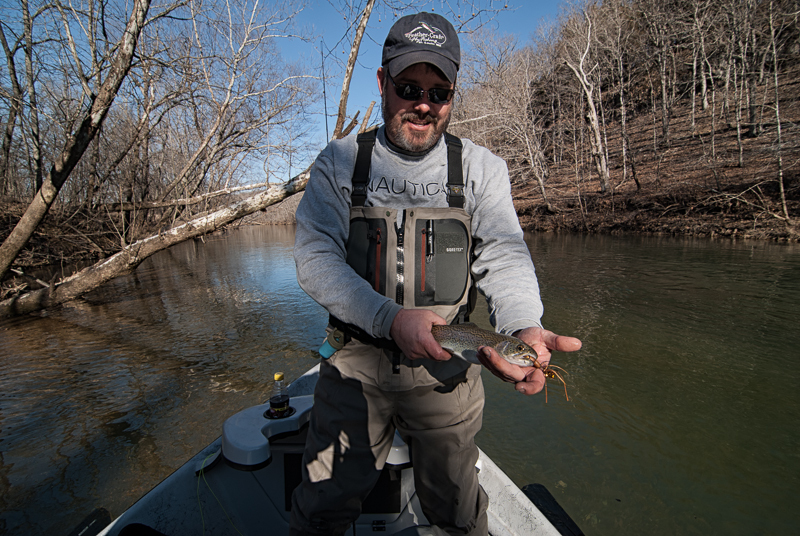 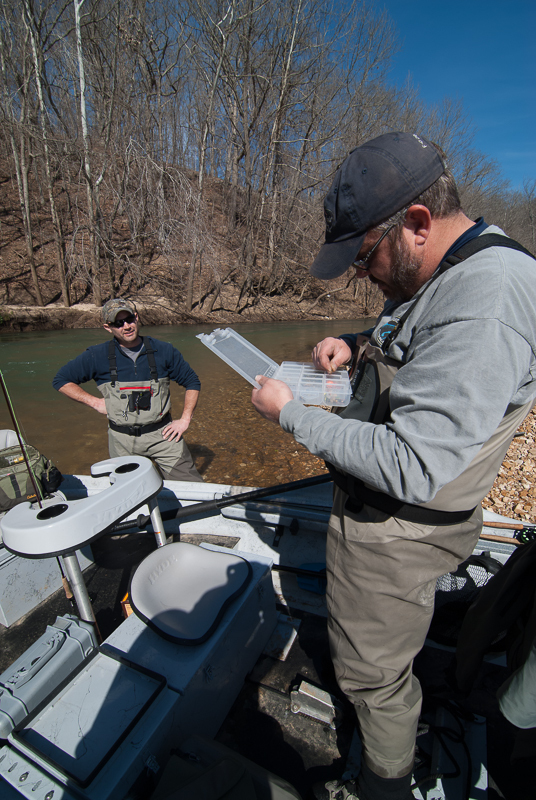 It is one of the closest trout fisheries to St. Louis, the fishing isn’t always great, and you can’t just roll up to the stream hop out of your car and start fishing. 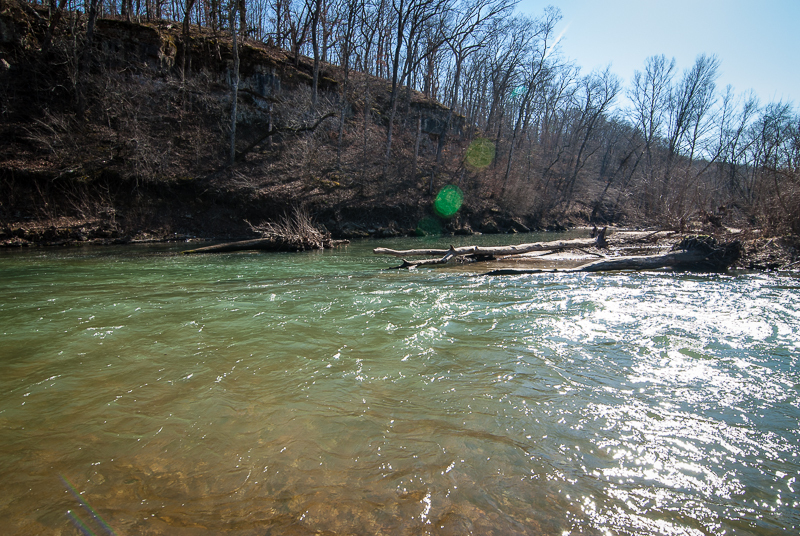 With declining fish count numbers and stream accesses with names like “Suicide” and “Cardiac Hill”, the Meramec River is for the committed. 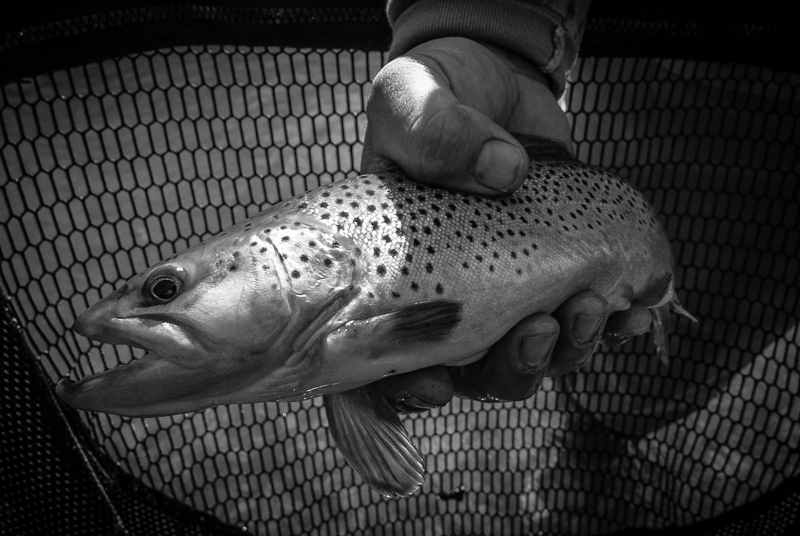 Over the years I have heard the old timers at Hargroves Fly Shop talk of the white fly hatch and seen pictures from some of the guys at Feather-Craft of the glory days, and if you take a close look at some of the canoe outfitters that run floats on the trout waters, there are hidden photos of extremely large brown trout taken from the river back in the 90’s and early 2000’s. 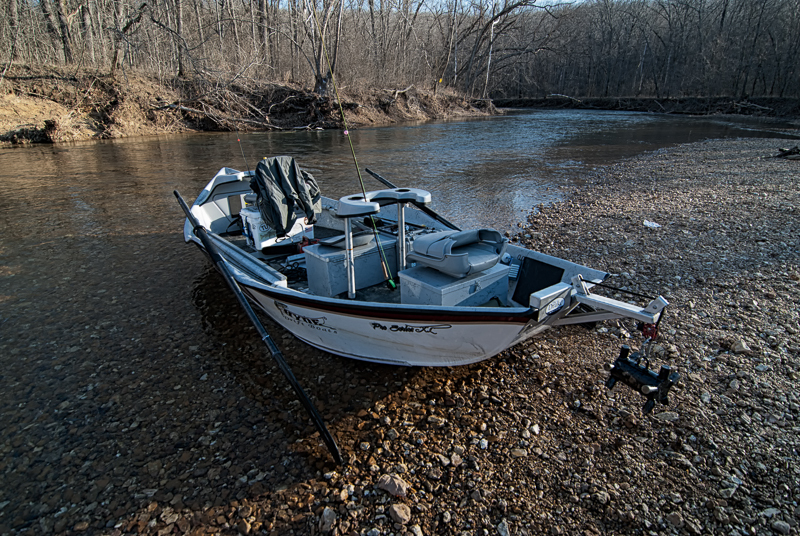 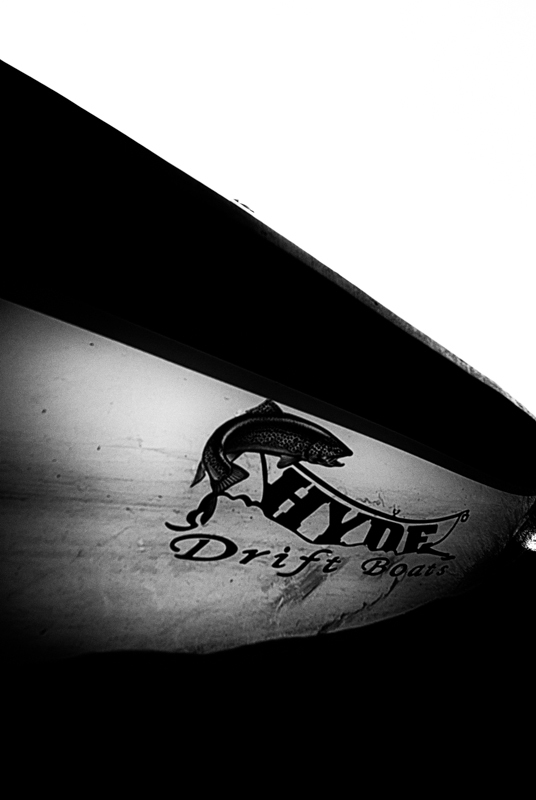 With so much alure, and not much fishing pressure, I have been bound and determined to drift it in my drift boat…..if the flows hit the right level and I found the right group of guys to help get through anything we encounter. 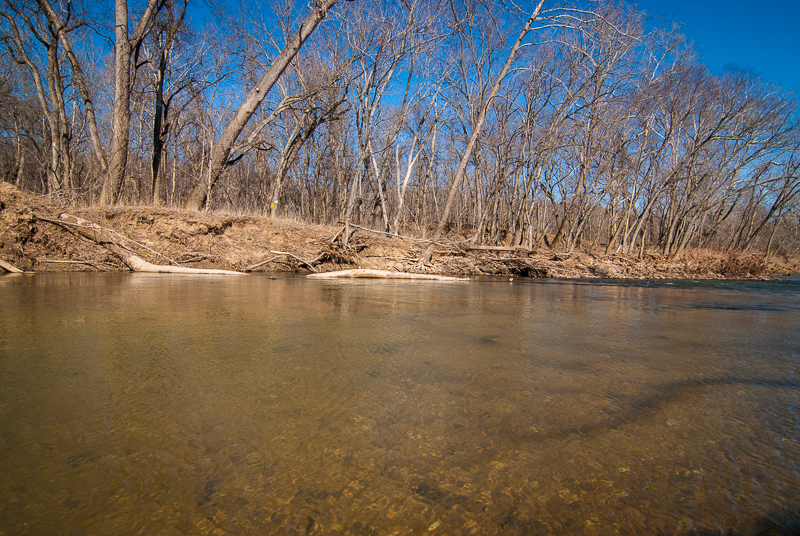 After watching the water levels, Dan Ritter, Bob Weber, and I hatched a plan to float the river on February 7, 2013. 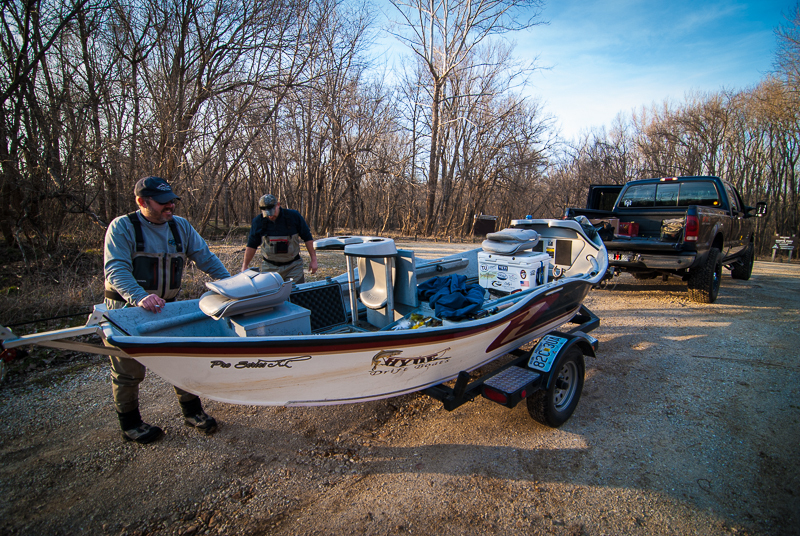 It was a solid plan, we packed the come-a-long hand winch, 300ft of rope, a chainsaw, bow saw, and a few other odds and ends we might need along the way, in addition to all our fishing gear. 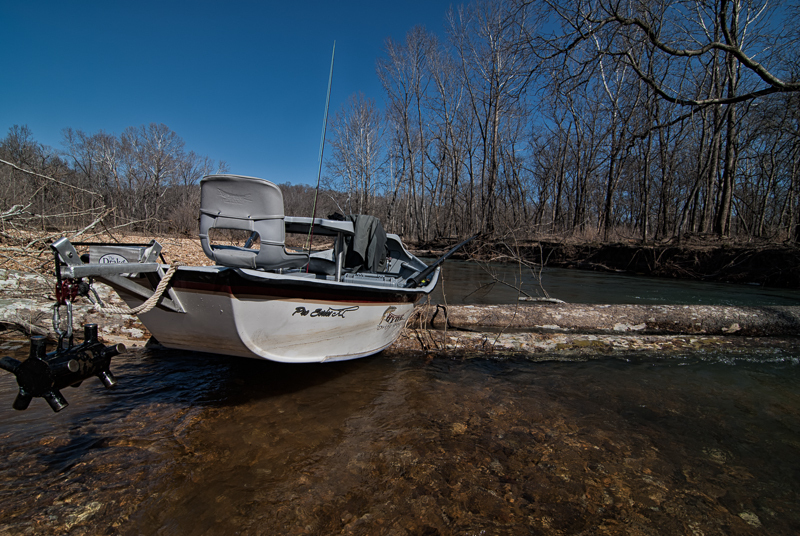 With that, we launched the boat at the Hwy 8 bridge and set off on the float. 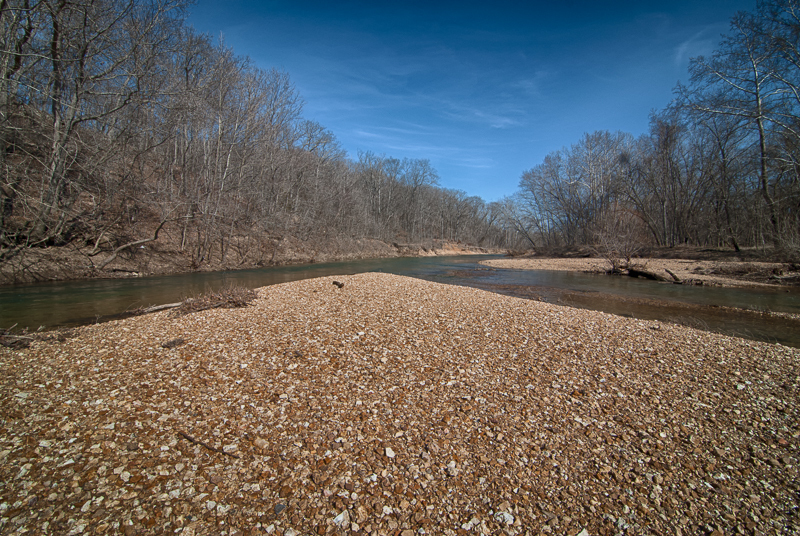 What an absolutely scenic river. 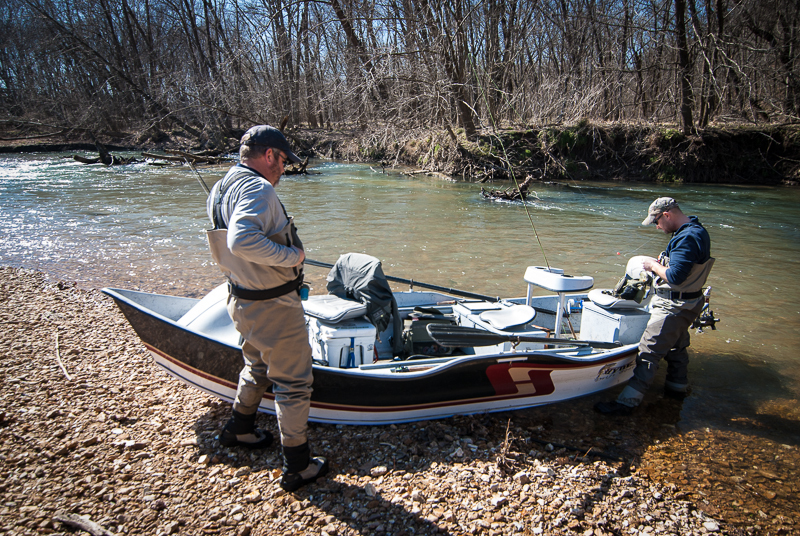 With the river flowing at 475cfs at Steelville, we had plenty of water to float and didn’t have to push the boat through any shoals. 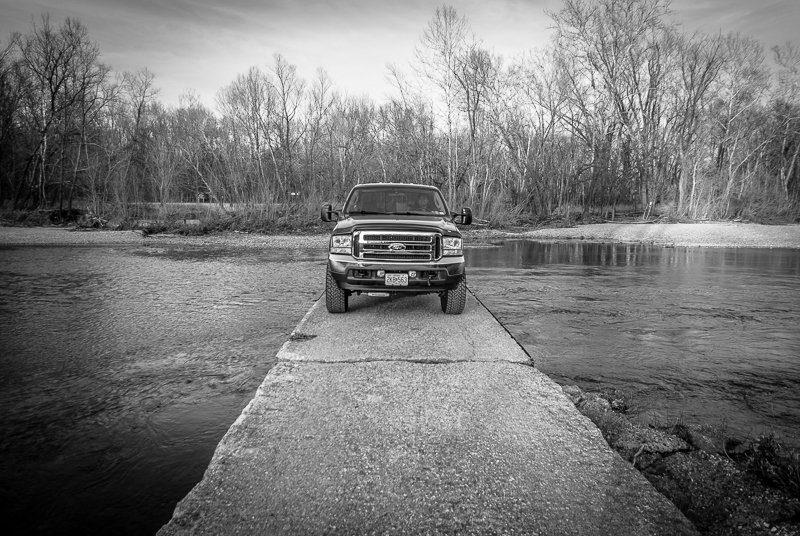 That isn’t to say we didn’t run in to any problems. 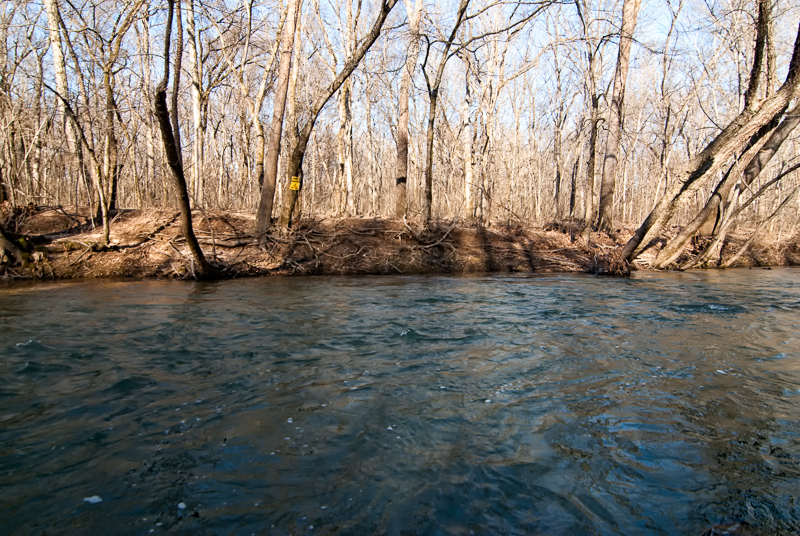 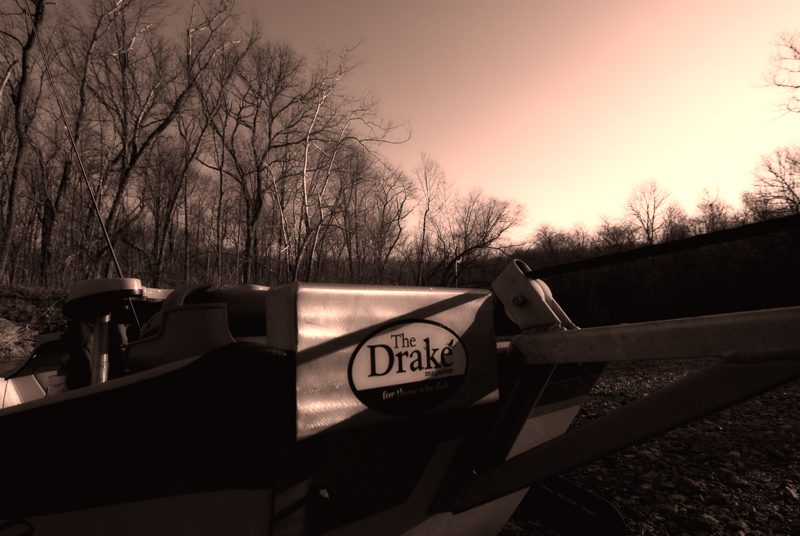 Our first major issue was just before Dry Fork Creek, where two large trees were completely across the water. 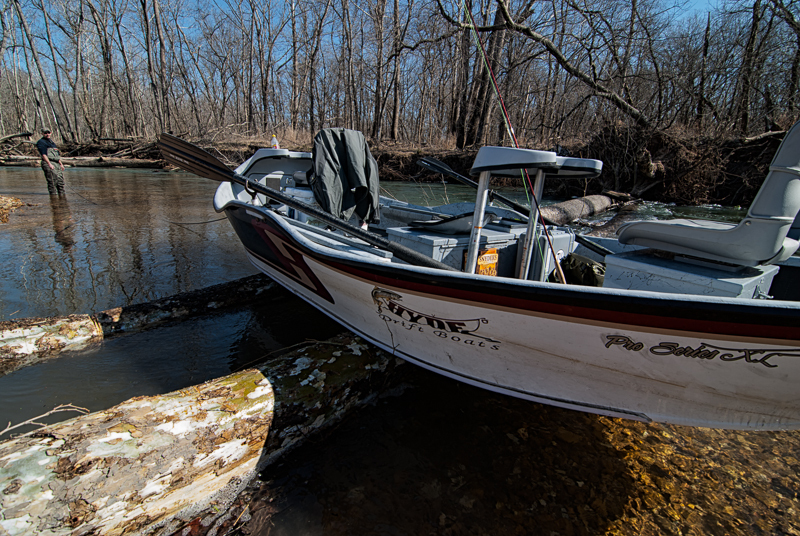 Thankfully with the chainsaw, some tools, and some rope, we were able to drop the trees about 3ft and push and pull the boat over the hazard. 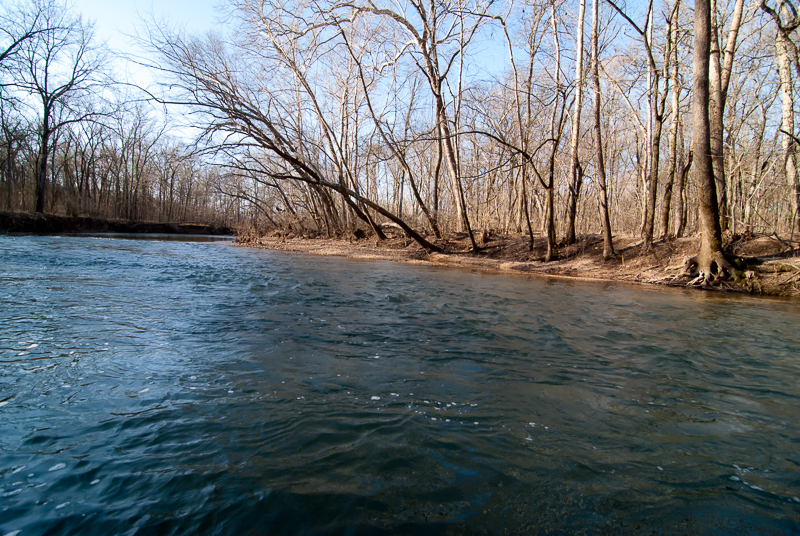 A little further down stream, we ran into a section of river that we lined the boat through — it looked alot gnarlier than it was, and on second through I could have tried to row it, but pussed out as we drifted up on it. 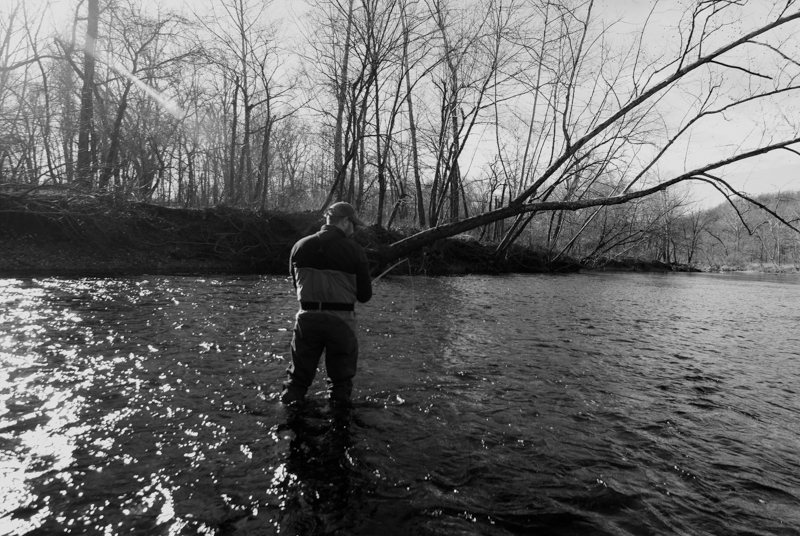 The fishing was tough, as the river has become. 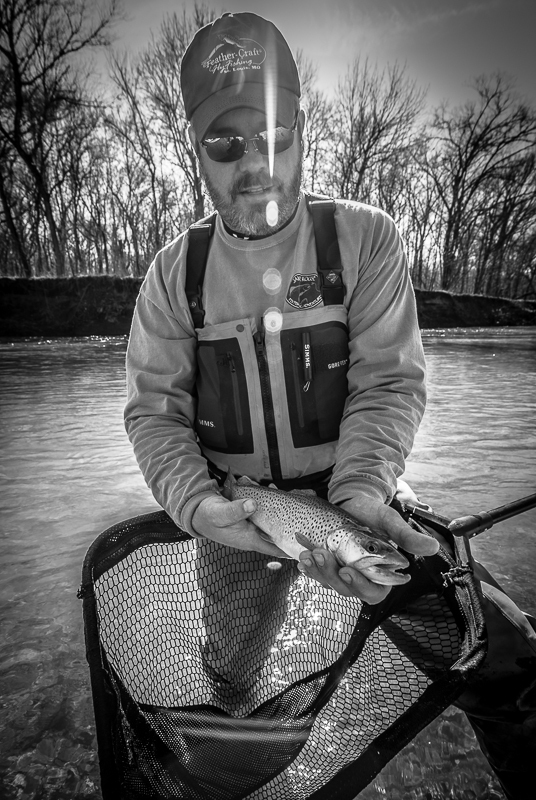 Dan Ritter landed one rainbow in the section above the park, and then landed a brown near the cardiac hill walk-in access. 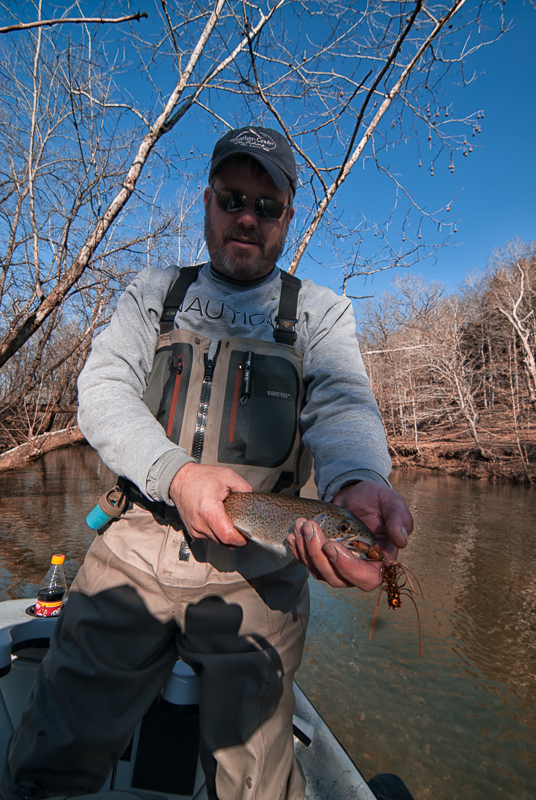 We threw big nasty streamers, and did get a few more follows and did see a few trout in the river as we floated. 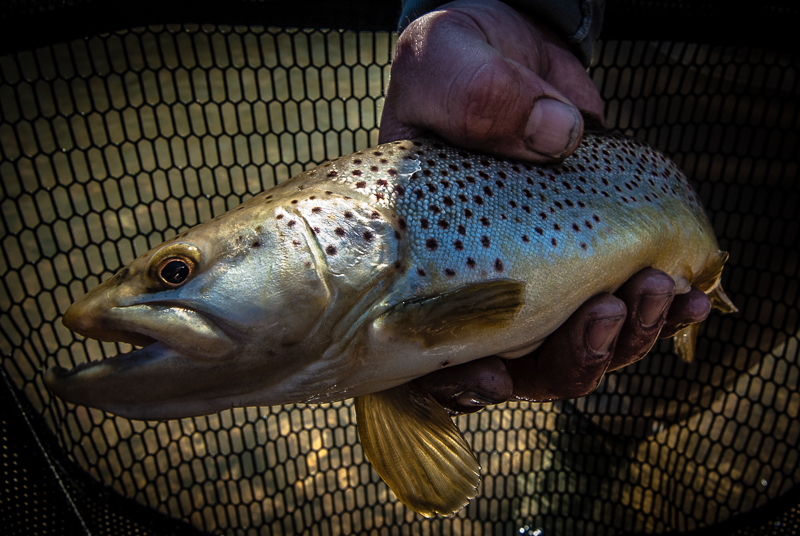 Later, I inquired with the MDC Biologist for the river and learned that the brown trout population for the river is less than 11 fish per mile, so we were definitely pleased with the results of fishing for the day. 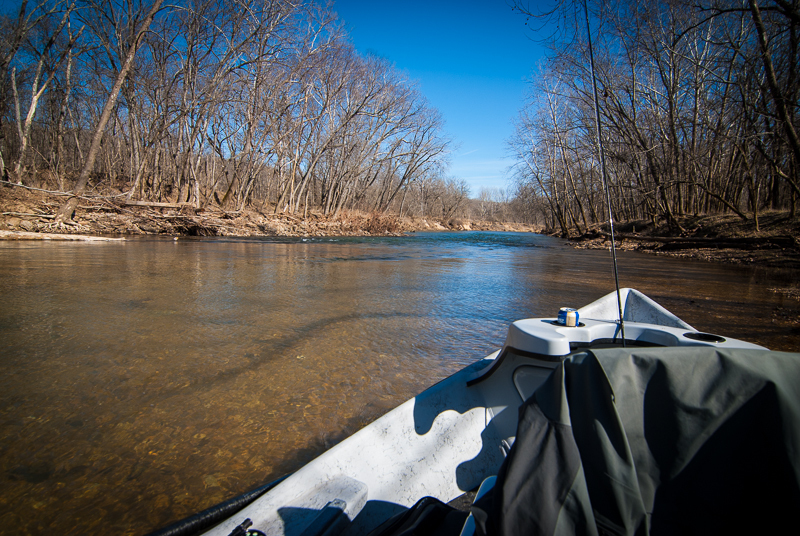 It was a great day, and if the river levels are right, we will be back on it again. 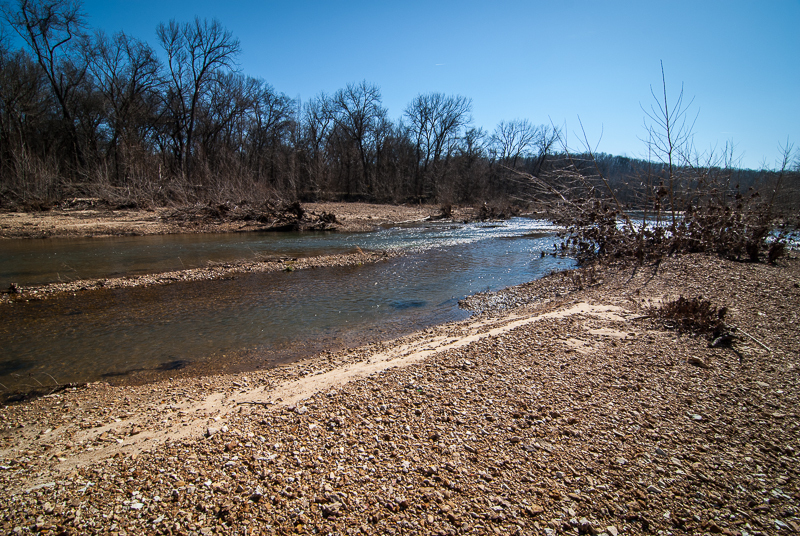 It is definitely a river that haunts me and needs our help. 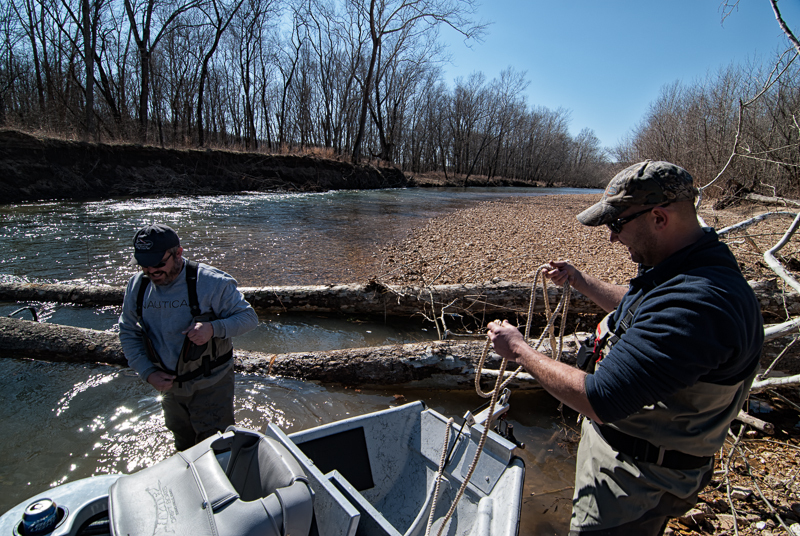 I would encourage everyone to contact the MDC and tell them you are interested in helping the Meramec River trout fishery. 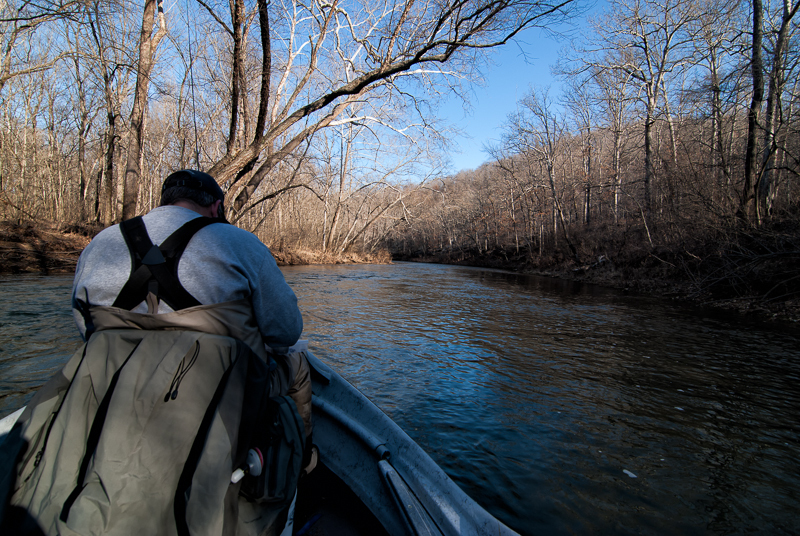 Here are the photos from our first trip down it. 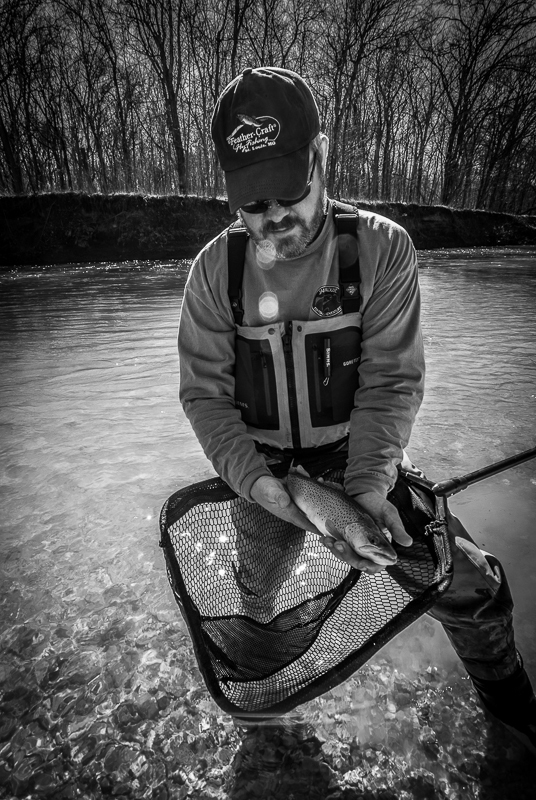 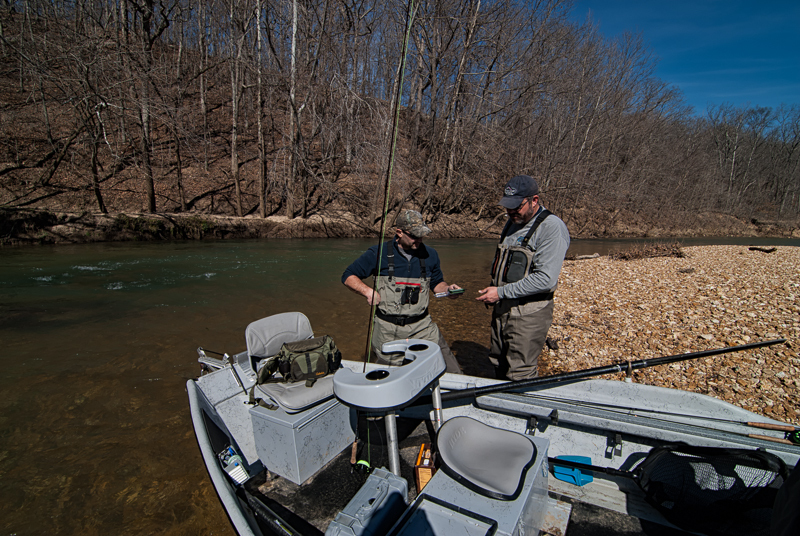 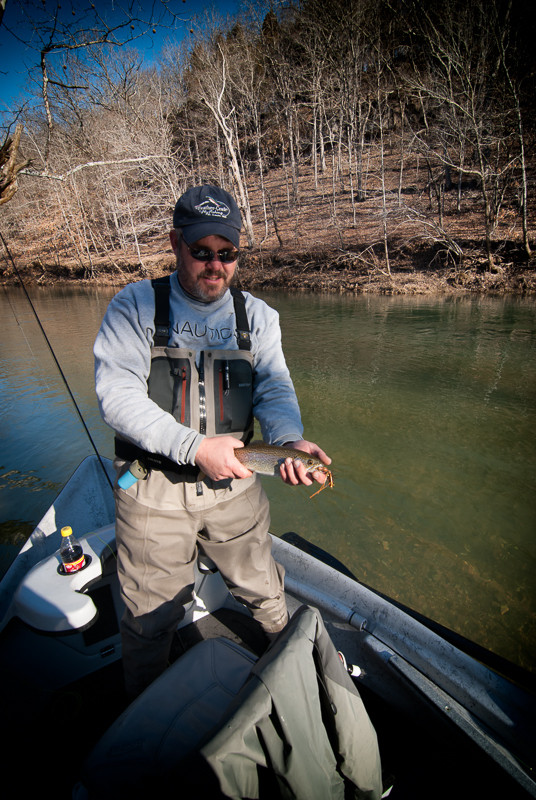 Early January found me back on the Niangua River, taking my brother-in-law, Bob Weber, on his first fly fishing trip. 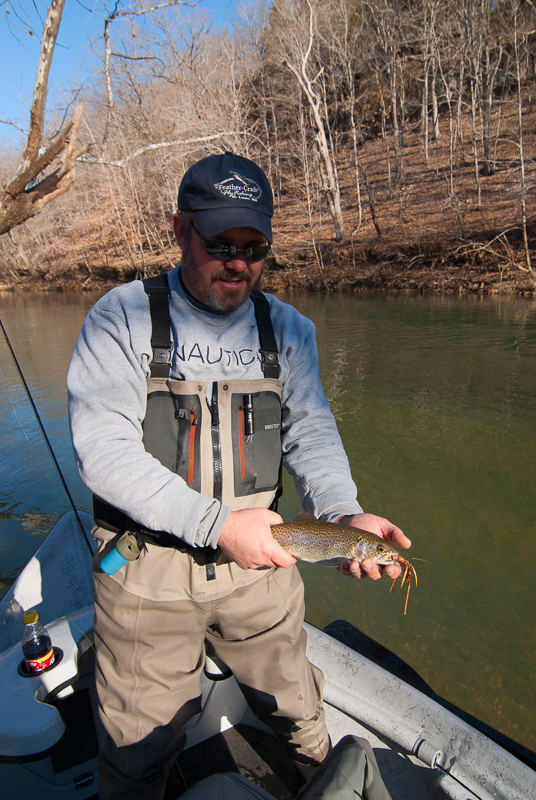 Bob’s dad, Dan, joined us for this trip as well. 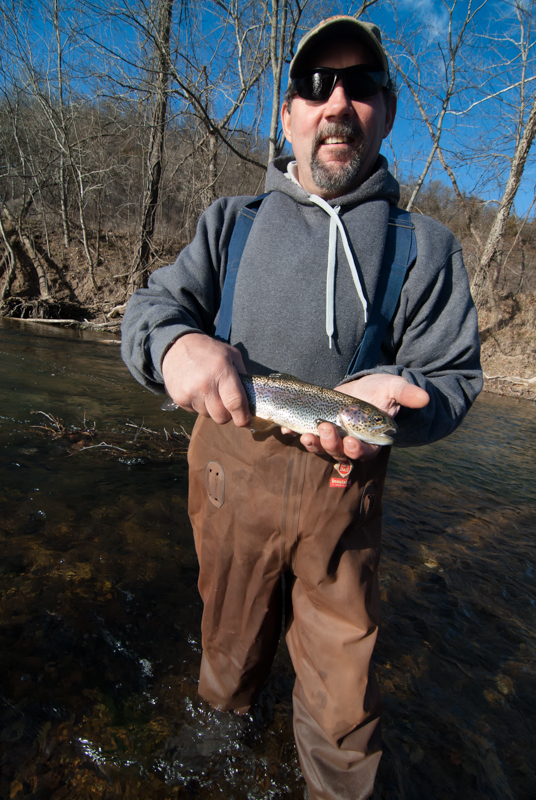 It was a cold morning start, but the temps warmed up pretty quickly. 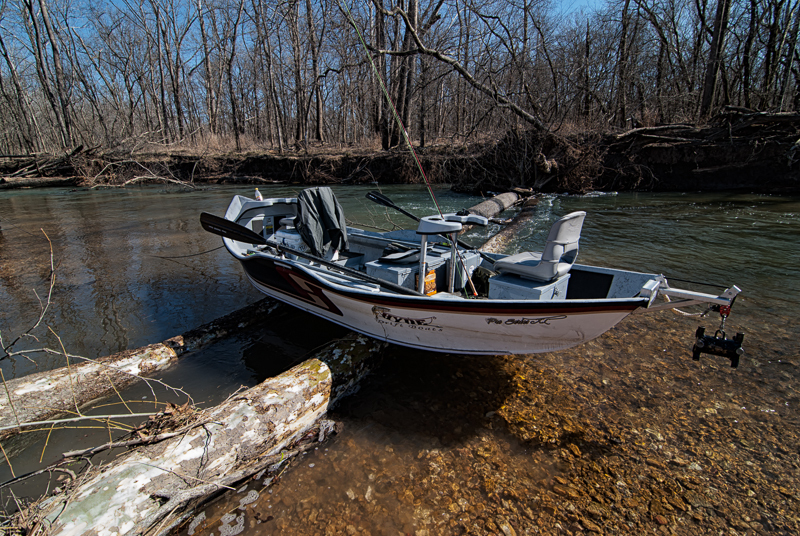 We ended up sticking with the same Bennet Spring State Park Boat Ramp to NRO float that I have been doing and again, the fishing did not disappoint, even with a couple of new fly fisherman in the boat. 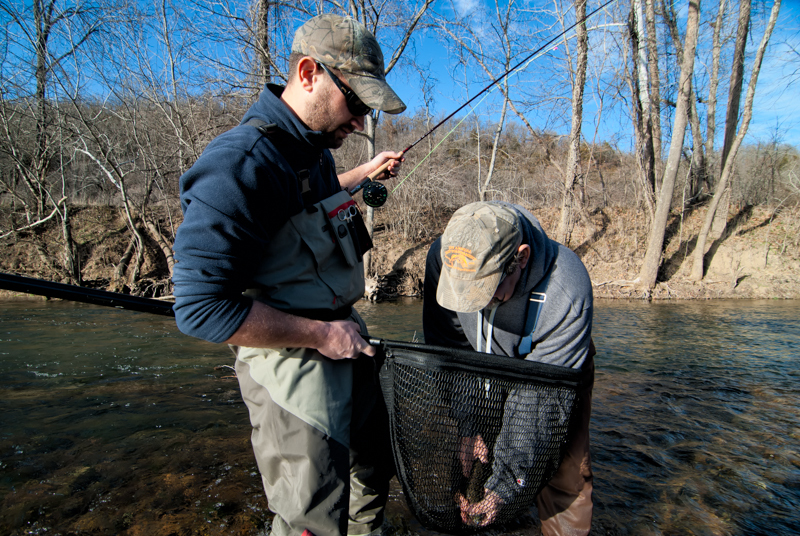 Bob hooked up with his first trout on a fly rod early in the day, and Dan was able to stick a couple when we got out of the boat to wade fish in a few spots. 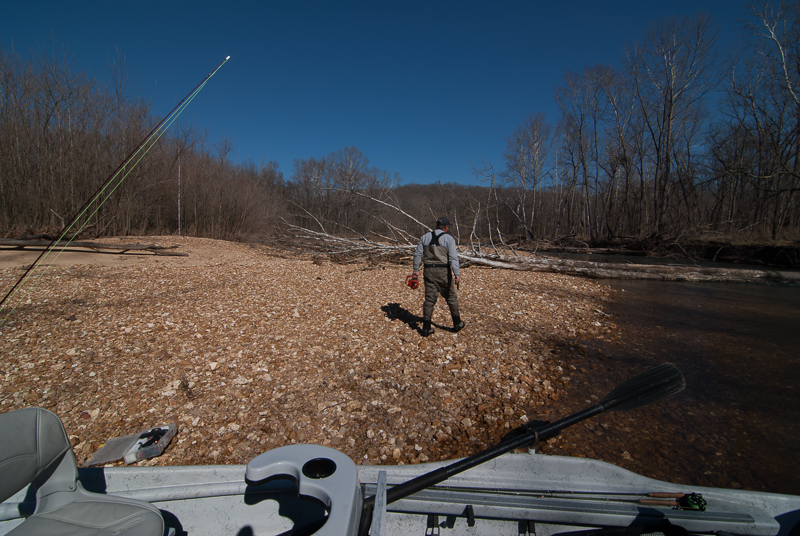 All in all, it was another good day on the Niangua River, and it keeps me coming back for more.